After granting permission for vendors to use his property, businessman Malcolm Panday is now complaining that their presence and City Hall’s failure to move them has cost him millions of dollars. Panday, who owns the former Guyana Stores Limited (GSL) bond, commonly called the ‘Zinc bond’, on Water Street, told the Commission of Inquiry (CoI) into the administration and operations of the Mayor and City Council (M&&CC), that for 13 years, City Hall has failed to grant him permission to erect cordons so that he can safely construct a $105 million, modern eight-story shopping mall. He noted that he has a building plan which has been approved by both the Central Housing and Planning Authority and the M&CC but without permission for cordons, he cannot proceed, even as he is burdened with interest payments of millions of dollars on a loan acquired to purchase the site in 2004. “This is usually given for, among other reasons the protection of pedestrians traversing the vicinity of this area. It is imperative for this site which has on its perimeter, three pavements and a street,” Panday testified on Friday. He presented to the commission a letter dated June 20, 2005, which was addressed to the then acting City Engineer, Beverly Johnson. In the letter, Panday stresses that “because of the proximity of the vendors on the four sides of our land plot coverage, [they] cannot proceed”. “We need at least ten feet working area on the four sides of our land, which would entail moving the vendors from around our boundaries,” the letter adds. Despite his repeated claim that it was City Hall which had failed to remove the vendors and thereby caused him to make payments on a $100 million loan he has not been able to use, Panday also testified that he granted permission for other vendors to use his property free of cost from 2004 to 2012. According to his testimony, he even went so far as to issue documents, including a copy of his transport, for them to use in court when the City attempted to remove them in 2009. “For years I have been advised by my lawyers to go to court to have the M&CC remove the vendors [or to] remove the ‘Zinc Bond’ and commence my construction with the vendors where they are. I resisted these because of my care for the vendors as they would’ve gotten hurt in many ways, including while digging [as] the foundation [of] their stalls would’ve caved in,” Panday claimed. He added that for 13 years, the vendors on his land were able to make a good living and build good foundations, including being able to acquire houses, land and vehicles. 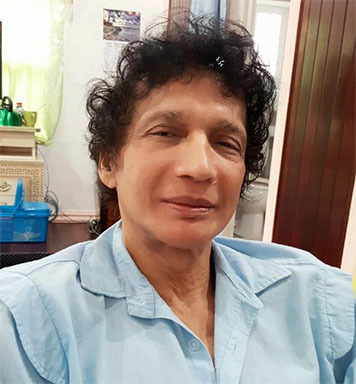 He explained that in 2016, when he discovered that some of the vendors had stalls in the ‘Toolsie Persaud Arcade’ and spots on other pavements and streets, indicating they were now in a better position, he had them removed. In that same year, Town Clerk Royston King began relocating the vendors whose presence on the pavements were “an obstruction to the commencement of construction”, however, in a short while, the vendors returned and the construction plans which were resuscitated were thwarted.